A beautiful apartment building promising luxury has all the trappings to attract buyers, but as a developer and a potential owner it is advisable to crunch numbers before getting lost in impressions. To minimise costs, Stevens urges to adopt a policy of design efficiency above all. 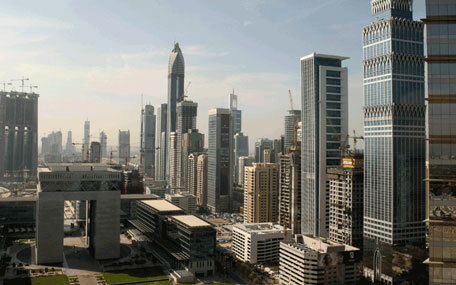 Potential owners are advised to look past appearances, and enquire what keeps their units and public spaces in working order, keeping in mind that they will have to pay their fair share to the owners’ association (OA) or developer via service charges to maintain or to increase the value of their property. Considering that air conditioning is such a large portion of the bill, special attention should be paid to how a building is being cooled. “Utilities are an important part of the design, anything from 40-70 per cent of service charges is being spent on them. It’s important to design the building right so it is energy efficient from the start. This is the best way to address this,” Stevens points out. Another contentious point about potentially increasing service charges is the percentage of owners not paying their dues. Efficient management of a building includes developing effective initiatives to collect service fees, maintaining transparency on money spent and having a dedicated staff on the ground as in a building manager. According to Stevens, a developer or an OA should refrain from offering a percentage fee to a management company, as that would just encourage managers to run a building more expensively, but rather provide a fixed management fee. “The property management fee could be anywhere between 2-5 per cent of the total operational budget, usually tending to 2 per cent for larger budgets. The management fee does not increase with the size of a building,” he adds. A wise property purchase would take into account all of the above. Buying into a property that looks cheaper because of low service fees may look like a gain in the short term, but could rather become a liability in the future; whereas a solid reserve fund and insurance may signify a higher fee but a safer bet in the long run, Stevens explains. “In the coming years, we expect to see people in the market being far more focused on the financials of an OA, service charges and the rate of collection to make a decision on which properties they would want to buy into and give them comfort that they’re buying into the right property,” says Stevens.